The great running philosopher George Sheehan wrote in Running and Being: The Total Experience that “the daily six mile run is physiological magic.” And, while I agree with him, in my stage of life as a runner, I am more interested in psychological and emotional magic. Which begs the question, if six miles a day brings my body magic, what does it take to bring magic to my head, and more to the point, to my heart? I am definitely one of those people who needs to run every day. Sure, there are those days when I can’t squeeze it in or those times when I just need to take a rest, but most days I wake up and the first thing I do, wherever I am, is to go for a run. Usually that daily run is somewhere between four and eight miles and typically around mile two or three I begin to feel it, the magic of the daily run. I can’t really put my finger on why this magic happens, but when it does the rest of life seems better and things seem a bit more clear. My daily run, often in the pre-dawn darkness, brings with it a calm stillness that I need in order to function in the rest of my life. While the physical benefits of running are undeniable, for me, running’s greatest gifts come from the psychological and emotional benefits that each day’s sojourn brings. In fact, even the bad runs, those runs that just feel sluggish and creaky, ultimately bring out the best in my head and heart even in spite of the pain in my legs. There have been a few occasions in my running career when I’ve been forced to take time away from running due to injury and illness. Emotionally, these spells stand out as some of the most challenging times of my life. Yet, when I’ve come out the other side and been able to return to running, I find myself refreshed and renewed. And each time I come back, I savor and cherish my daily run even more. For those of us who have found running, those of us for whom it is not just what we do but who we are, we must not lose sight of how truly special and transformative it is. Often bringing out our best even when we can be at our worst, running as an essential core competency is so much more than a hobby or an activity. It is more of a calling and the more we do it, the more the miles build up and the hours accrue, the more it makes us better versions of ourselves and, one person at a time, makes the world a better place. 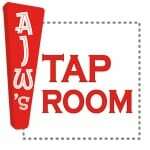 This week’s Beer of the Week comes from Bell’s Brewery in Kalamazoo, Michigan. Consistently producing outstanding beers, Bell’s has always impressed me with their variety and creativity. 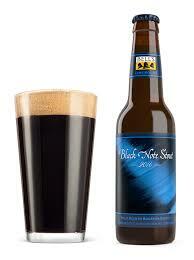 Their Black Note Stout is a wonderfully harmonious Stout perfect for this time of year. So, what psychological magic do you find in your daily run? What other regular benefits do you feel as a result of a sustained running practice? Are there things that running gives you that other hobbies don’t or can’t? It doesn’t make me a better person. But for 10km, at least I can forget that. This rang very true today. Heading out of work to squeeze in a lunchtime run. Just 3 minutes in and the tall buildings of canary wharf give way to a first view of the Thames bathed in autumn sunshine. A cool, gentle breeze and calm waters. Mind clears and out along wapping wall, gliding over cobble stones that usually catch an ankle (not today). Dodge round smiling people a st Katherine’s dock and a look up at tower bridge. A sip of water and return. Back to work, but completely refreshed. Hey Andy, thanks for sharing your story. I felt like I was right there with you! In my experience, “the magic” is exorcism. It’s not what brings magic to my head; it’s what drives the bad juju away. My transformation through running is a purging of my demons – my anger, my fear, my feelings of inadequacy. The effort of my miles burns away the bad and purifies me, leaves me at peace. Today was a day that demanded some vertical. A chance to raise myself above my baser instincts, physically and spiritually. In an act of kindness, the mountain absorbed the negative energy that poured out of me throughout my ascent. By the crest I was reborn, looking down on the town below in a spirit of love. Once again, Run GMD, a delightfully thoughtful comment. Thanks for reading! Great AJW, I love Your thought of coming out of the other side of injury and returning to running. I recall not being able to complete a 50K, due to an arthretic knee problem, But when I healed, I ran the most difficult 50K that I ever signed up for. I ran My PR and felt so invigorated and blessed. I reflect on this often and yesterday was able to name it; loving the feeling of physical exertion!! This is for AJW…it’s been 7 years since the last Ghost Town 38.5. It’s time to have some more runners in the Gila and to that end there will be two events in 2018. I have tried your old email as these are invitationals only. If you’re interested…let me know. The fields are going to be small. Distance: 50 K. NO PAVEMENT. We will start and end in the forest. Course similar to GT 38.5 but the old spur will be done twice and the new spur will also be done twice. More info. available when I know where to send it. Hope to hear from you soon. your feelings about the daily run are EXACTLY mine. i bike to work ( about an hour) twice a week and swim which means i skip the am run, only to spend the entire day thinking if i could leave early enough to get in an hour before dinner. the day is NEVER as good w/o the daily run. thanks for sharing and saying it so well.